As I was getting information ready for parent-teacher conferences, I put together a document for my 4th graders to fill out to help me gain their perspective for what is going well and what they feel they need to work on. Confession: I'm quite teary-eyed as I write this. With all of the uncertainty I've felt starting in this new journey, I know I'm doing something right. This list really shows what we value, from the simple comforts of a cozy classroom to the more complex feelings of having a supportive teacher. And like so many of my Nerdy Book Club friends, I pour money and time into our classroom library. Having their feedback on it does my heart good! I'm all about being real, so I won't lie and say my transition to 4th grade was all rainbows and unicorns. The first month was tough. It was not pretty at times. But I am finding more and more to love at my new school, in my new classroom, and with my new class. And I really do believe that my involuntary transfer to 4th grade has been a blessing in disguise. 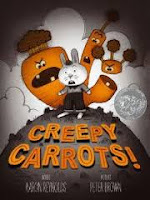 I am having so much fun reading middle grade books, recommending them to my students, and being able to talk to them about what they're reading. My to-be-read pile has grown so much since the beginning of the year, even more than it usually does thanks to my #nerdybookclub Twitter friends. They are pushing me out of my reading comfort zone daily. One student gave me a copy of Percy Jackson and the Lightning Thief for my birthday, which isn't one I would've picked up on my own. I ended up liking it a lot and now have a crew of kids reading Percy Jackson books. The staff that eats together... well, we eat together. We get paid twice a month, and on paydays, different groups of people are assigned to bring in goodies to snack on in the Teacher's Lounge. I love how it brings people together to chat in the lounge throughout the day! I love the fact that I put the idea out there to have a book study of Chris Lehmann and Kate Roberts' new book Falling in Love with Close Reading... and there were 25 people on board within 24 hours. I guess my enthusiasm carried over to my Twitter feed, because it looks like Chris and Kate will be helping to host a chat there, too! While two of our three administrators are new to their positions this year, they have still been incredibly supportive as I've made this transition. I am impressed with their vision and ability to think BIG to push us to new places! It impresses me to look up from a small group to see my principal sprawled out on the floor next to one of my 4th graders, talking about what he or she may be reading or writing. Or to see my AP walk around while my kids are reading, grab a book from the table, and start leafing through it. We have a team of 14 fourth grade teachers this year (13 women, 1 man,) and I have already been floored by the amount of collaboration and teamwork I've experienced with them. They have stepped in to help me as I've navigated my way through my first quarter as a 4th grade teacher. They've made me laugh and have reminded me that I do have a lot to offer them. I am in awe of their drive and focus for wanting to learn more and grow as educators. So, again, I won't mislead you into thinking it's been all rainbows and unicorns. We've had our fair share of technical difficulties. Sometimes daily. But I will say that I love having tablets in the hands of my kids. It opens their eyes to the world around them in a way that was not possible before. Most of my kids were in our school last year, so they have had experience with our tablets already. This made the process a whole lot easier for me and for the four students who are new to our school this year. Already, they have taught me so much. They've reminded me that much of what I believe to be true about teaching and learning still holds true in 4th grade. But they've also made me realize that I still have so much room to grow and so much to learn! They make me laugh. We've built strong bonds already which allow us to be real with each other. I'm fortunate to have one student who was with me in first grade. Seeing the person she's become in the past few years has made me smile! Silly, but true. I love walking down the hallways and seeing teachers cruising around, coffee mugs in hand. As trivial as it may be, I think it helps remind us to slow down and enjoy our coffee... our kids... our days together. Food is always good. And when it comes in the way of a breakfast club meeting, it's even more delicious! Once a month, interested teachers come together to eat and collaborate on a wide variety of topics. Just this past Wednesday, we met to share ideas on how we are supporting RtI goals in our classrooms. Teachers from all three grades (3rd, 4th, and 5th) join in the fun. It has allowed me to meet and share ideas with so many people, and it has sparked further collaborative efforts. My 4th graders will be teaching some 3rd graders how to use KidBlog next week because of a conversation that started at Breakfast Club! I've had some time to sit back and think about the decision to move me to 4th grade. And I have to say, I'm grateful for the move. Many things have changed in my old building, and I'm not sure it would've been a good fit for me. I'm thankful that my former principal had the insight to know me and my style... and that he had the opportunity to move me to a building where I could find more like-minded people. Yes, there are times when I miss my little first graders. I absolutely miss the comfort of a school I knew for what seemed like forever. But I do love a good challenge. And although it's been a ton of work, I am happy where I am this year. I love when a comment on Twitter starts something big. And it happens often. This weekend, tweets about the newly released title Falling in Love with Close Reading by Chris Lehman and Kate Roberts quickly led us to new places and new ideas. Chris and Kate will be joining in on a Twitter chat on Monday, November 11th, from 6-7 p.m. EST. 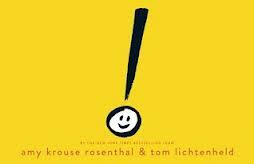 Our focus will be on close reading, centered around our discussion of their book. *Look for the #closereading conversation on Twitter! I'm excited to hear everyone's thoughts and insights on close reading! Please join in the fun! I'm so happy to participate in Mandy and Cathy's #PB10for10 event again this year! I think I'm even more excited this year to share books my first graders loved and to also get some ideas for books to share with my 4th graders. When I started thinking about this post, I decided it would be easier on my brain if I focused on books that were new (or just new to me) this year. 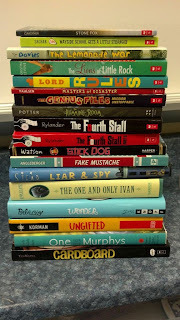 So my list is comprised of the new-ish books that my first graders and I just adored last year! They're back! 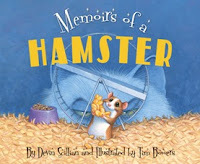 The awesome duo that brought us Memoirs of a Goldfish has done a phenomenal job again in their hamster book. I have to admit... I might have loved this one even more than the goldfish one! 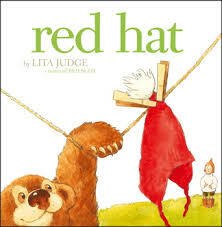 My kids and I were big fans of the wordless Red Sled, so I knew we'd have to read this one, too! It didn't disappoint! I loved watching kids' faces as we took in the story. 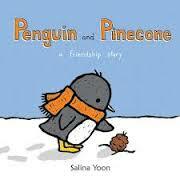 Before I even finished reading this one aloud, my little friends were begging to read it again. So many possibilities with this book! 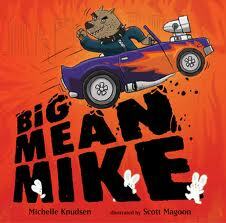 The bunnies quickly found their way into our hearts, but so did Big Mean Mike! We read this one several times. These three little pigs had my first graders hi-ya-ing for days! We were able to connect with Corey on Twitter, and she was absolutely wonderful. She answered our questions, gave us lots of insight into the book, and sent us bookmarks! This book found its way into my heart quickly. I can totally imagine me living out the pages of this story when I was a little girl! We squealed with delight when someone would bring in carrots for snack time after we read this book! 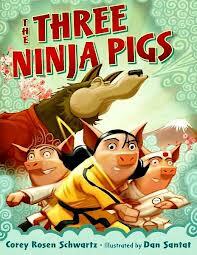 I lost track of how many times we reread this book. 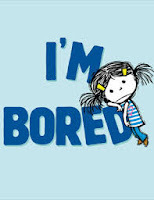 The phrase "I'm Bored" continued to seep into our conversations throughout the year, just to get us giggling! Ok, so I'm kind of cheating... but I couldn't leave these out! We enjoyed them just as much as the ones listed above. 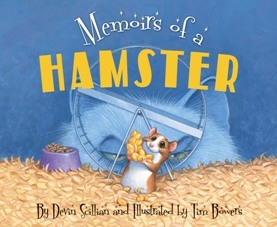 I bought this one right at the end of the school year, but it was one of those giggle-out-loud books that first graders just love. They also thought the ending was hysterical! I've written about this book a few times already (HERE and HERE,) but it is definitely one of my favorite, favorite books that I've read in recent years. Being a fisherwoman (fisherman? Whatever... I love to fish), this book reminded me of the magic of fishing and the elusive fish we all come to know. My family's "Jangles" is a smallmouth bass in the waters of Manitowish Waters, Wisconsin, that we named Scarback. While I don't think my first graders had those deep connections, many of them loved to fish and really enjoyed this book. "Your teaching assignment for next year is 4th grade at Martin." Those words have echoed in my brain since April 19th. My jaw literally dropped that day when my principal shared the news with me. Due to lower enrollment at our building, three sections of first grade were being cut. My principal explained that I was "chosen" to make the move because I am a strong teacher with experience in using the Daily 5 and technology, both of which are being used at my new building.. I'm not going to lie. I cried. A lot. I spent a weekend feeling like it was time to update my resume and move on. I got angry. I was bitter. I just couldn't understand why. Why didn't he move her? She causes all of the drama. Why didn't he move that one? She is on her phone all day long. Why not her? I've been here way longer than her. I had no choice in the matter. Strike that. I do have a choice. I can choose how I react to this unexpected change. And I CHOOSE to step up and rock this! In retrospect, I am feeling like this is a blessing in disguise. I'm already finding that my new teammates are challenging my thinking and pushing me to grow. While I enjoyed my first grade teammates, we were at very different places in our educational philosophy and practices. Maybe I do belong in this new place after all. I have a lot to learn. 1:1 Kuno tablets. New technology. New curriculum. New team. New possibilities for books to read. And I know I'll fail. That's ok. I expect to make mistakes alongside my 4th grade learners. I expect them to make mistakes, too. Like my new learning space, my teaching is still under construction... as it should be. I'm honored to be hosting today's installment of #cyberPD around Alan November's Who Owns the Learning? Our first week was held over at Cathy Mere's blog, Reflect and Refine, followed by week two at Jill Fisch's blog, My Primary Passion. Please be sure to leave a comment below with the link to your post. You can also tweet it out using our #cyberPD hashtag. I'll be spending some time listing everyone's links within my post later today! After reading one of Tony Keefer's recent posts (Thinking About Roads and #allwrite13,) I'm still mulling over his very important reminder about slowing down and revisiting ideas from the past. Tony says, "Eventually we will get where we are going, but we also backtrack several times along the way." While I absolutely do intend to continue to move forward, learn new things, and try out some of what Alan suggests, I want to make sure I stay true to my beliefs in all of it. If we are simply adding technology to say we have added technology, we've really missed the eye of the education reform hurricane. This book has really helped me ponder where I need to go while holding on to what I believe to be true about teaching and learning. Thanks for the reminder, Tony! That being said, I know I still have so much to learn, but when I was reading chapter 5, I had to stop for a minute and think about what I've already been able to do with my first graders. 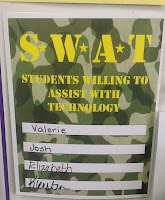 We had our own individual blogs, a class blog, and a Twitter handle - and all of these helped us make connections with other first grade classes from the US, Canada, and New Zealand. I wrote more about what we were able to accomplish on this post from my old blogging space. 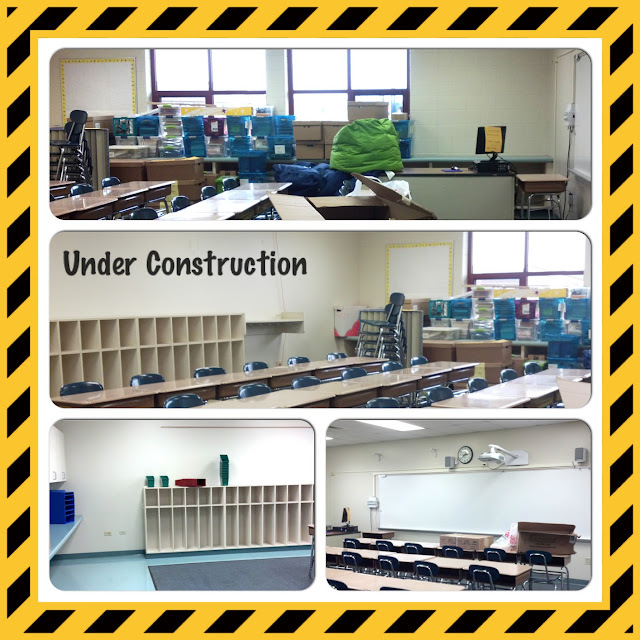 Moving forward, I know this will form a great base for the work I plan to do with my future 4th grade learners. I read and reread the story Alan shared on page 71. Hearing this young lady's story made me consider the importance of authentic work. I love how she responded with, "Every day, I have to decide if I will write for my teachers or publish to the world." Such powerful thoughts! Later, on pages 82-84, Alan had me thinking more about the grading and homework debates. I wonder how I will go about giving grades in 4th grade. If we want students to do the work because it truly matters, how does that tie in to the traditional grading system? My "homework policy" has changed so much in recent years. My expectation was nightly reading, with a few nights of word practice and the "required" math pages. Very low-key. More often than not, I also received compliments and thank-yous for my stance on homework. And more often than not, my kids were inspired to read more than expected and write on their blogs from home. Because it mattered to them. I have to believe I'll want to take the same approach with my 4th graders. When Alan talked about respecting others' perspectives, I couldn't help but break it down to a very primary (but important) debate right here in the Chicagoland area. Even my first graders have an opinion and get into heated debates about who is right. While it's not a truly "global" issue, they are all well-versed and can defend their position when we ask... Cubs or White Sox? :) It's ok. You can giggle. But it's true! We always had fun sharing which team was our favorite and why. We also learned to respect Karen Lirenman's hockey perspective as they were Canuck fans while we all cheered on our Blackhawks. Using examples like this one helps young learners understand varying perspectives on a very basic level. 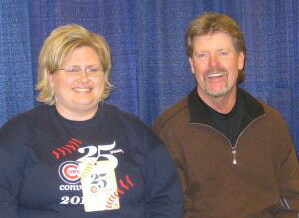 Me and my all-time favorite Cub, Rick Sutcliffe. Alan talked a lot about using Skype as a means of connecting students with other classes and people from around the world. I think the possibilities are truly endless with video chats and am super excited to be able to have better access to it next year. We'll be announcing our final (live) Twitter wrap-up chat. Details will be shared soon! Erika Victor shares her international school perspective from sunny Berlin. 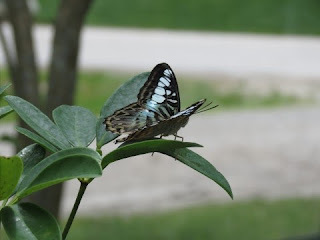 She is looking to connect her students more this year as she writes in her post #Cyber PD Part 3 - Who Owns the Learning? Mary Lee Hahn teaches us more about the importance of leaving a legacy while she also shares some honest feedback about how she plans to proceed in her post #CyberPD -- Who Owns the Learning? Ch 5-end. Maria Caplin's honesty about her struggles with technology and her excitement about starting a class blog are woven into her post Who Owns the Learning? Ch. 5-6 #CyberPD. Linda Baie investigated and created some new search engines to go along with her reflections in the post #CyberPD - WOW! Suz reminds us of the importance of the collaborative power of learning and seeking out other viewpoints, even in places like Twitter. You can read more on her post Valuing Perspectives & Opening Networks. As she shares her thoughts on this week's reading, Julie Balen invites us to try out collaborative content by joining in on her Popcorn Maker tool. 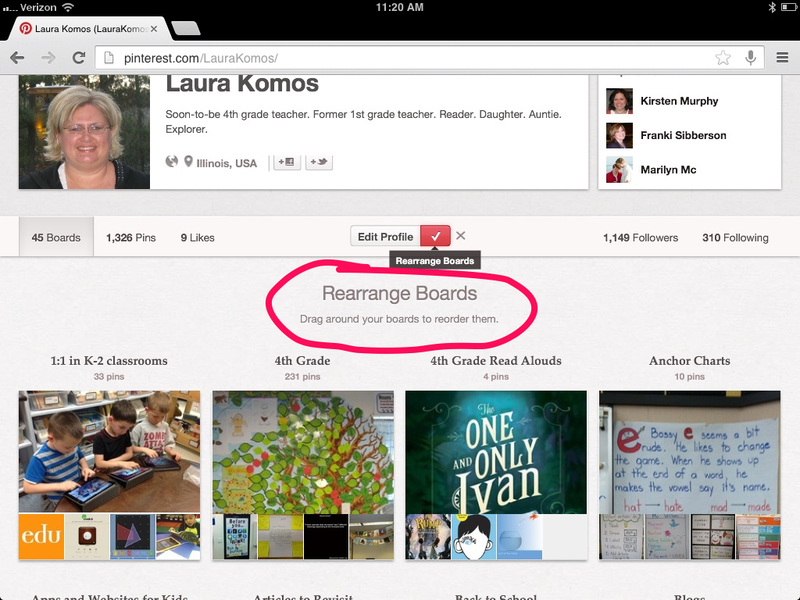 Check it out in her post #Cyberpd 2013 ~ Collaboration for learning. While sharing her take-aways and unanswered questions from the book, Pat Johnson also reminds us of the importance of those face-to-face conversations in her post Final Thoughts on Who Owns the Learning. Read Tony Keefer's post #cyberPD (Who Owns the Learning (part 3) to find out about what he plans to do now that he has finished reading this book. Cathy Mere reflects on what her students have already accomplished as digital learners and what she plans to do to help further their global connections in her post "WE" Own the Learning: #cyberPD. Jamie Riley shares her perspective from the library media center and offers some additional resources to us in her post #cyberPD - Who Owns the Learning Ch 5-6. You'll want to stop by Michelle Nero's blog to read her thoughts about starting small, remembering to ask questions, and a great description of our book chat! Check it out here in her post #cyberPD part 3: Who Owns the Learning? Katherine Sokolowski shares her plan of action for the upcoming year and her goal of balancing her classes more in her post Who Owns the Learning? - #cyberPD part 3. Barb Keister is back from the beach and weaves together thoughts on empathy, Common Core, and more in her post #cyberPD week 3 - Who Owns the Learning by Alan November. We are reminded to slow down and breathe as we join Jill Fisch, talking to us about her feelings of being overwhelmed. Find out how she helps herself get through these times in her post I Did It Again. Amy Rudd ponders the path she will choose as she moves forward from our book chat and shares the connections she has made in her post At the Fork on the Trail - CyberPD #3. We get to enjoy a moment with Rose Cappelli as she connects new learning to what she already knows in her post An 'Aha' Moment. My Juice Pack Saves Me! My friend Jacquie busted out her portable charger (juice pack) one night when we were all hanging out in the city as everyone's phones had started to die out. It didn't need to be connected to an outlet. It quickly added some juice to each person's phone so they were no longer in the "red" battery zone. I was intrigued, so I added it to my Christmas wish list. 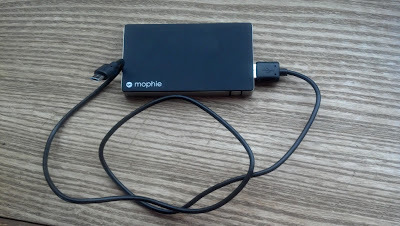 My Mophie Juice Pack rocks!!! I love this thing. It has saved me on so many occasions since I got it in December! I can charge up my Droid phone and then switch out the cord to give some life to my iPad. This has been especially handy at workshops and conferences when I'm sitting in the middle of the room, in the front row... and am nowhere near an outlet. I don't have to miss a thing! Just plug the juice pack into my device, and I'm back in action. When I get to an outlet, I just make sure I get my Mophie charged up so it's always ready. 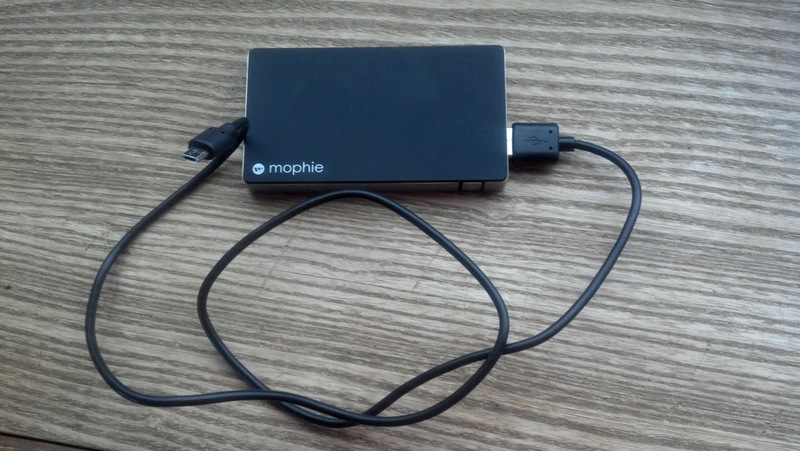 There are many different versions, sizes, and capabilities of a portable charger. I've seen them at Best Buy, Office Depot, and on Amazon. Mine is about the same size as my phone and fits nicely into my satchel. I won't lie and say I can recommend the best or fastest or cheapest device, but I will tell you that it's worth investigating and purchasing one! Today is our second installment of our #cyberPD event around Alan November's book, Who Owns the Learning? Last week's reading and sharing was A-MAZING! If you missed out, be sure to visit Cathy Mere's Reflect and Refine blog and get caught up. Cathy has also been getting some extra workouts as she created her "Jog the Web" to collect posts related to our event. This week, you'll want to be sure to visit Jill Fisch's post at My Primary Passion to follow the conversation. Much of the beginning of chapter 3 affirms what I believe to be true about how online/digital forums are especially powerful for our quieter learners. It gives them a way to be heard, without the sweaty-palms feeling of sharing in front of the class. When he mentions the social dynamic of the classroom, he hits on the fact that offering these opportunities to kids really brings together the concept of a learning community that connects both inside and outside of the confines of classroom walls. The quote on page 43 says, "...when you blow the walls off [the classroom] then learning happens anytime, anywhere." I think that's really the key point of what we are all trying to accomplish! Ooh, and did you catch when he talked about inspiring the "learner's mind" throughout kids' lives? Love that! 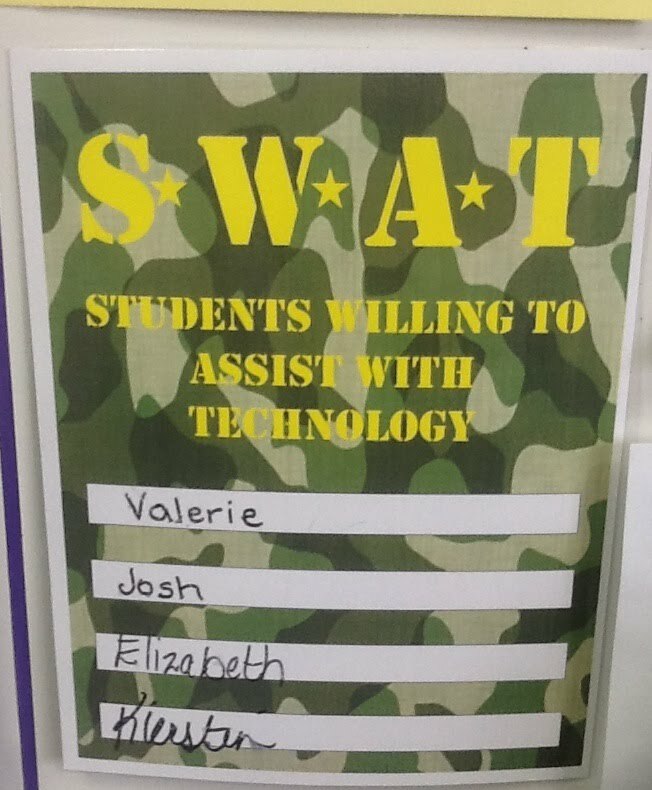 In my new school, I know they are utilizing a "SWAT" team. I know this was crucial, especially last year when the tablets were new to both students and teachers. While these kids in each classroom specifically help with tech issues, I can see it becoming much bigger than that. 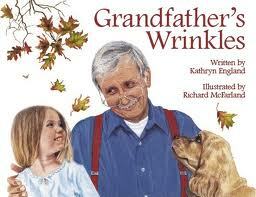 I loved reading the chapter on page 46 where he talked about having kids help each other out. That is a major community/team-builder! And it also allows for different learners to shine at different times. Ok. I'm going to put this out there, because I was stunned as I read more into chapter 4. I didn't know a lot of the information he talked about as far as validity of sites and building custom search engines. Yes, I knew about the different endings (.com, .org, etc.) but never really felt the need to teach my first graders about that, since most often, I was their tour guide to many of the sites we visited. But with 4th graders, I can see this information being absolutely essential! When faced with a question we couldn't answer, my first graders would giggle as they suggested that I just "ask my friend, Google." Now, I guess I have to learn more about customizing "my friend" so I can share that with my older students! I digress, but...have you used the Kid Rex search engine? I stumbled upon it last year and showed it to my first graders. It's a kid-friendly search engine (that might be connected to Google somehow, I think.) We used it quite a bit to glean more information on topics we were interested in. Just thought I'd put it out there! I have to go back to page 47 before I quit rambling. There, I found my favorite quote from the book so far, and it's from Darren again. It speaks to a sense of agency and a growth mindset (see, Peter? I didn't forget your wise words!) It also encompasses so much of how I feel about improving my teaching craft. Ready?! "As long as you're asking what's next, you'll get there. But never be content with where you're at." I'm thrilled to be hosting next week's installment of #cyberPD, right here at Ruminate and Invigorate! We will also be having a follow-up/wrap-up live Twitter chat at some point after next week. I wonder what you're all thinking about this week's chapters. Off to find out! I've built to bring with me to 4th grade! Every time I see my former students, we always seem to get into a conversation about what we're reading. 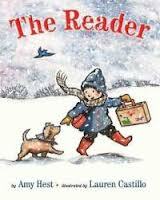 We've built that reading relationship through our year together, and it follows us when we meet again. I'm fortunate to still be in touch with many of the families I've worked with over the years. Those families have all been so helpful and supportive as I get myself ready for 4th grade! I immediately thanked her and returned the favor by recommending both Rump by Liesl Shurtliff and The Wig in the Window by Kristen Kittscher. I know I have a few of K's "best books" already in my inventory, but you can bet that I'll be adding the rest! 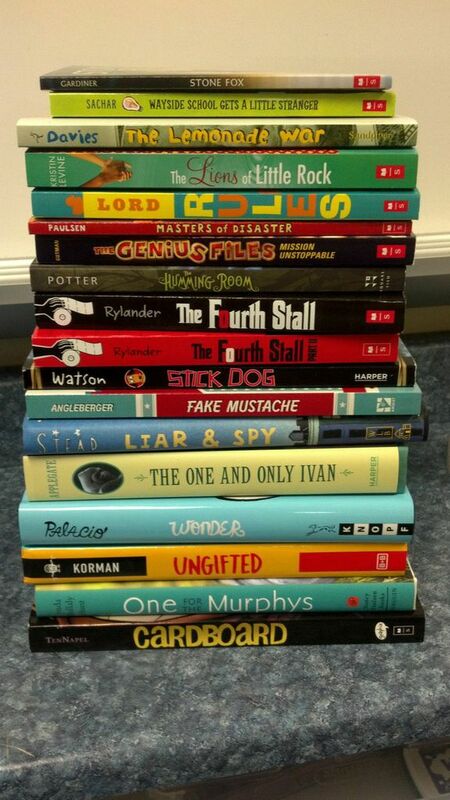 What books would your students recommend as "must haves?" I'd love to hear from you! It makes me a tiny bit (okay, a lot) crazy when people have a ton of Pinterest boards that aren't in alphabetical order. Below are the directions I used to follow.... but I just noticed that with the "new look" on Pinterest, you can just drag your boards to arrange them. So, all you have to do is go to the page where you see all of your boards and drag away! Click on your picture in the upper right-hand corner to bring up the drop-down menu. You'll want to choose "Boards." 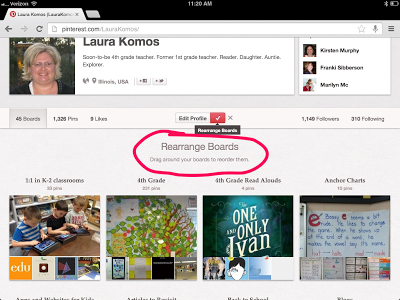 Now it will give you the option to "Rearrange Boards." They're your boards, so arrange them in a way that makes sense to you... but just know that for some of us, it's easier to peruse your pins if you have them arranged alphabetically. (Or maybe I'm the only one who is weird enough to need that order!!) Be sure to "Save" before you exit that screen. That's it. Three steps. 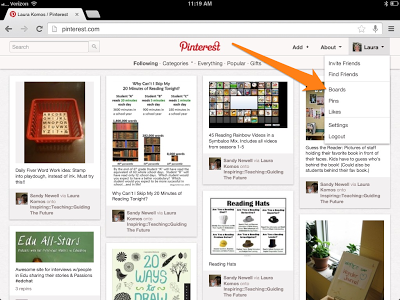 And it will (hopefully) make your Pinterest life easier to manage! Thanks again to #kinderchat for pushing me to write this quick post that's been brewing in my mind for some time now. My friend Mandy Robek (from Enjoy and Embrace Learning) invites us to think about math in our world. In her recent post, she talks about how we share reading and writing in our lives, but do we do the same for math? How often do we focus on real-life uses of math? I love how the possibilities are endless! Here are a few examples that I found of #mathinmyworld! What would it be like to live on an island that was only accessible by boat? And what if the only "transportation" on that island came in the form of horses, buggies, and bicycles? I had a chance to ponder these questions (among others) when my mom and I visited Michigan's Mackinac Island recently. The island is surrounded by beautiful lighthouses, trees, and lots and lots of water. ;) Visitors take the ferry across from Mackinaw City. After chatting with some of the locals, we came to find out that many of them take the ferry across daily to get to and from work. There are some people who live on the island year-round, but the majority of people and shops are only there for 3 seasons each year. I love referring to it as "Mack-in-ack" Island but have learned the correct pronunciation is "Mack-in-aw." According to people at the Visitor's Center, Mackinac gets its name from the Native name, Michilimackinac. Interesting, right? What would it be like to travel daily by horse-drawn buggy, by bicycle, or by my own two feet? We opted to walk for most of our time on the island. Watching people stop at the small grocery store on the island proved to be quite interesting. They'd load up the basket on their bicycle to transport their items home, sometimes by way of the large hills found on the island. Most locals appeared to walk or use bicycles, while many of the tourists enjoyed traveling via the buggies. Listening to the horses as they clopped down the main street was music to my ears! And, my... there were some absolutely beautiful, big horses! Although I sometimes complain about the 10 minutes I have to drive to get to "town," what would it be like to live on an island where I couldn't get everything I needed? Locals take the ferry across to Mackinaw City and stock up on supplies to help last them through the long winter. At some point during the winter, there may be an "ice bridge" across the Straits of Mackinac which assists people in getting to/from the island. When I think about how many times I have to run to the store because I've run out of something, I cannot imagine having to plan that far in advance! Taking the horse-drawn carriage tour was enjoyable and educational! It's worth it to be able to ride through the beautiful forests of the island, learn about different places on the island, see Fort Mackinac and visit the Arch Rock. 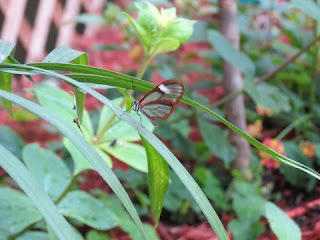 Perhaps my favorite stop was Wings of Mackinac - the butterfly conservatory. I'm not a big fan of bugs, but I did surprisingly well as these amazing creatures flew about freely around us. I appreciated the soothing music being played as we wandered around, admiring the beautiful flowers and pausing to take it all in. I recently bought a new, fancier type of camera and had a fantastic time trying to capture great shots while we were there! And, finally... the school. What would it be like to teach in a school on this island? I did sneak a peek in some of the windows and wasn't surprised to see tables, computers, and lots of books. I'm sure the population is much different than where I teach. I mean, they have 500-600 residents of the island. My K-2 school had almost 1,000 students! As we travel, my mom and I rely on the Trip Advisor site to help us decide where to stay, where to eat, and what to do. We've also signed up and reviewed many of the places we've visited recently to help other travelers. You can find us by clicking HERE! Cathy, Jill, and I are thrilled to be hosting our third annual #cyberPD event this year! Each week will be hosted on one of our blogs, so be sure to add your link in the comments section. It will also help if you tweet out a link to your blog or whatever way you decided to share you thoughts! Be sure to include the #cyberPD hashtag. This week is being hosted by Cathy over at Reflect and Refine. In the new school year, I'll be walking in to a 3rd-5th grade building where every student has a Kuno tablet. 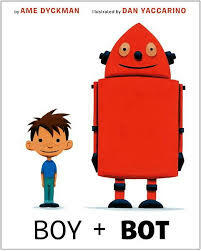 Although I've already begun making changes in my first grade classroom in recent years, reading books like this one have become even more important to me now. I found it so powerful that November refers to Daniel Pink and his Drive book.While I haven't read it myself, I've heard bits and pieces from it. I really appreciated how Alan shared Pink's most important predictors of high-quality work (autonomy, mastery, and purpose.) Wow. Do we provide opportunities for children to excel in environments where they are expected to master content but have the autonomy to learn in ways that best suit them? Do students understand the more global purpose in their learning? Alan really got me thinking more about traditional learning spaces. Society has changed so dramatically since the years of that "one room schoolhouse." And yet, so many of our schools and classrooms look identical to the days when I was in school (just a few decades ago!) :) It always confuses me when kids are handed a device (tablet, iPad, iPod, whatever) but they're expected to work alone, quietly, at their desk. Shouldn't our learning spaces reflect the "new ways" in which we all learn? The last paragraph on page 17 illustrates some possibilities for what these new spaces might look like. My mind is spinning after reading chapter 2. Especially with having 1:1 tablets in my classroom, I am intrigued to see how my 4th graders might be able to take on the role of Tutorial Designer. After years of teaching, I've seen how powerful it is for students to explain things to each other. Not only does it solidify their understanding of a concept, it also helps students to hear it from another person's point of view. Actually, this chapter had me thinking more about thinking. I'm wondering about ways in which my students can share their thinking and show their understanding with their classmates and with the world. I know their individual blogs will be a key part of this, but I'm curious to see what other tools emerge to help us. This chapter also reminded me that I've had the book Making Thinking Visible: How to Promote Engagement, and Independence for All Learners in my TBR pile for quite some time. I might just have to move that one to the top! In this article from MindShift (Feburary 2013), Alan revisits some of the key points from his book. It was a good follow-up and refresher after reading the beginning of his book. Modern learning spaces have been on my mind for a while now. 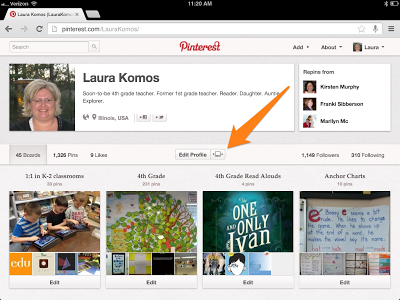 Actually, I've created a Pinterest board to capture some ideas for what these new classrooms might look like. You can see the board HERE. We'll continue the discussion (July 10th) over at Jill's My Primary Passion. We'll be thinking about chapters 3 & 4. And now, I'm off to start reading what other people have posted about the beginning of Alan's book! Over the past few years, my thinking about "reading logs" has changed dramatically. Reading The Book Whisperer by Donalyn Miller was one major influence on me as I thought my way through a practice I wasn't sure I supported. If you haven't read this one, be sure to add it to your "must read" list! Katherine Sokolowski's wonderful recent post "How do you know they are reading?" brought this topic up again in my mind and begged me to think about it again. Last year, instead of asking first graders to write down titles of books they read at home, I asked them to keep track of the minutes they were reading. All of the research I've read points to reading a minimum of 20 minutes daily, so I felt like this was more in tune with my beliefs. And what happened? Yep. The kids who read no matter what read for 20 minutes or more daily. And the rest? Hit or miss. Some read, some of the ones who really need to read at home didn't. So it was better than tracking the titles, but I'm still not convinced it was a perfect system. Fast forward to now. I found out a couple of months ago that I'll be teaching 4th grade next year. Oh... the possibilities! One thing I know for sure is that I will not be asking my kids to keep track of their minutes. Yes, I'll still encourage the 20 minutes or more... but I think we have to go beyond that. I go back to Donalyn's book and her "40 book challenge." I know this is what I want for my 4th graders. The challenge to read at least 40 books throughout our year together. And I'll be standing beside them as a fellow reader, trying to do the same. As a reader, I use Goodreads to keep track of the books I read and the books I want to read. While I don't want to "require" a specific way of keeping track of their reading, I do want my students to find a way that will be both user-friendly and helpful as they strive to read all those books! I really value choice and autonomy, and I want my kids to know that. So... I plan to provide choices and options but also give the freedom to come up with a system that works for them! *Biblionasium - This amazing site is quite similar to Goodreads but is aimed specifically at kids. I love that they can add titles to their shelf, rate books, and recommend books to friends. *Google Doc - We'll have 1:1 Kuno tablets in our classroom, and I know my students will already be familiar with using Google to create documents. They could create a list or a spreadsheet. *Reader's Notebook - I think some 4th graders might prefer a special notebook for writing down their thoughts and titles. 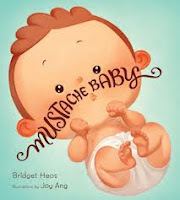 *Blog post - I'll be setting up a KidBlog page for us and wonder if some readers will want to create a special post that they can continue to add to throughout the year and list their book titles. *Pictures - I know the tablets already have Skitch on them, so I'm also interested in seeing if anyone will want to keep pictures of all of the books they read. Using Skitch, they could write their thoughts or rating right on the picture. The pictures could be kept in a special folder for easy access. How do you keep track of your reading? Do you ask students to track titles or minutes? I'd love to hear what you do in your classroom! Ready to take flight with Ruminate and Invigorate! Happy July and happy birthday to my shiny new blog! My blogging focus has evolved over the past 3 years, and I wanted a new space to go along with my new adventure as I move up to 4th grade. And so... Ruminate and Invigorate was born! As I move forward, I plan to share my thoughts on literacy... learning... and life. I wanted to start fresh as I turn a page in my teaching career and have a fresh, new place to share what I'm thinking. I'd like to thank my trusted #cyberPD co-hosts (and friends!) Cathy Mere and Jill Fisch for encouraging me to run with this new idea for a blog. Thanks for giving me the push to make it happen! Our Camp Read-A-Lot has served me well, but I'm ready to recreate myself as a blogger and teacher. My new space will be great motivation for me to write and share more often. I hope you'll follow along and help stretch my thinking in new directions!